NAF Sheer Luxe Leather Cleanse & Condition leaves a luxurious finish on your saddlery and bridlework. This deep cleansing formula is easy to apply and leaves a natural, non-sticky finish on leather. 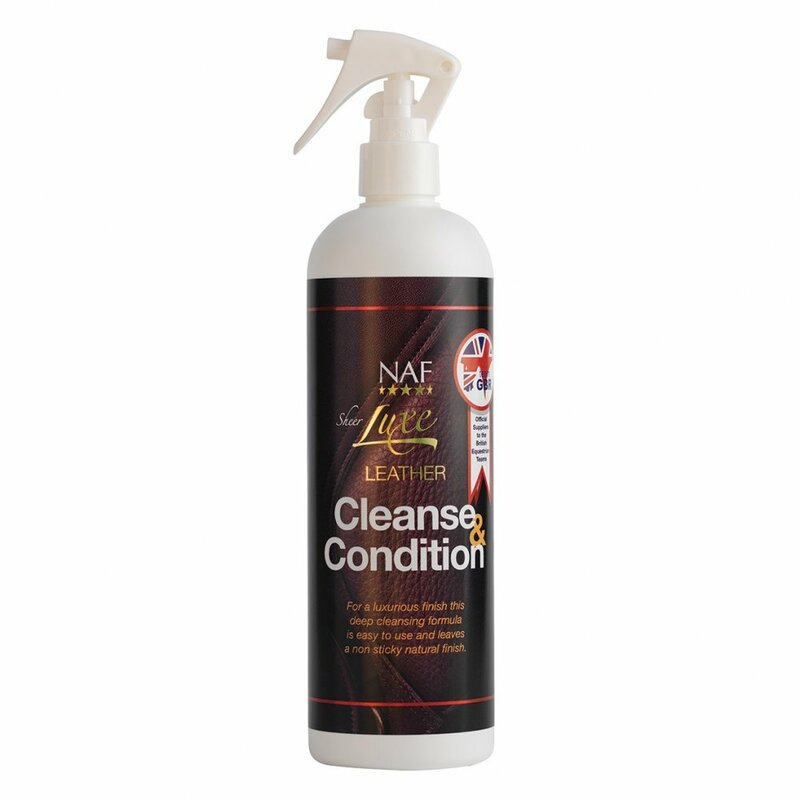 NAF Cleanse & Condition is best applied with a damp sponge, massaging directly into the leather, creating a light lather to lift dirt and grease. Leaves tack clean, supple and ready for use. NAF recommend a small patch test in an unseen area prior to initial use.